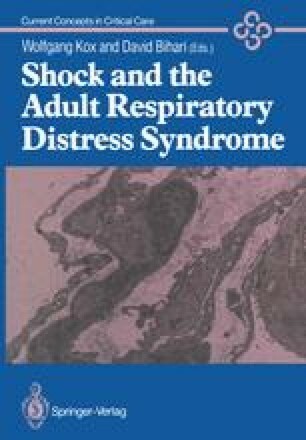 It is now well recognized that the application of positive end-expiratory pressure (PEEP) to the ventilation of patients with adult respiratory distress syndrome (ARDS) improves the arterial oxygen tension but may be associated with a fall in cardiac output, thus leading to the net effect of unchanged or even reduced systemic oxygen transport. However, the factors causing this decrease in cardiac output remain controversial (Craig et al. 1985).